Facebook removed the live stream graphic video posted by the gunman who opened fire this morning on the Mosques in Christchurch, New Zealand on Friday. 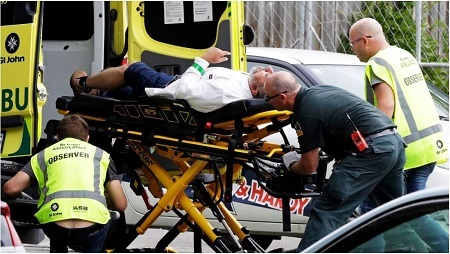 The video depicts the ruthless gunman executing the mosque-goers inside the Masjid Al Noor in Christchurch. Another video depicts the bodies piled up inside the mosque. The video seems to have been taken from a GoPro that was attached to the safety-met of the shooter. He then pulls up in front of the mosque an opens fire at the devotees. The video of 17 minutes ends with the shooter exiting the premises in Subaru station wagon. The New Zealand Police authorities responded that they are aware of the video and have requested the removal of the video.